Tripura is a land of beautiful and picturesque landscape, festivals, lakes and rich culture. This princely state of India houses many sacred and historically important temples. 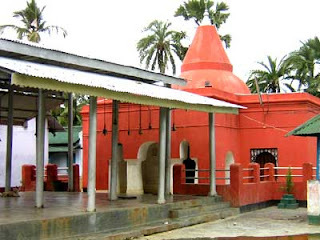 One such significant and holy temple in Tripura is the Fourteen Goddess Temple. This temple is considered as one of the most blessed and peaceful worshipping places to the Tripurians. This Fourteen Goddess Temple is situated in Old Agartala. The history depicts that during a face of war with Samser Gazi, the maharaja of Tripura, Krishna Manikya had shifted his capital from Udaipur to Old Agartala. The temple is located at a distance of just 14 Kms from the existing capital of Tripura. Agartala is the nearest airport and railhead to this temple. It is easily accessible by buses and taxis.